Make your own tart shells at home to save money. 3 Should I Let Pastry Shells Thaw Before Cooking? 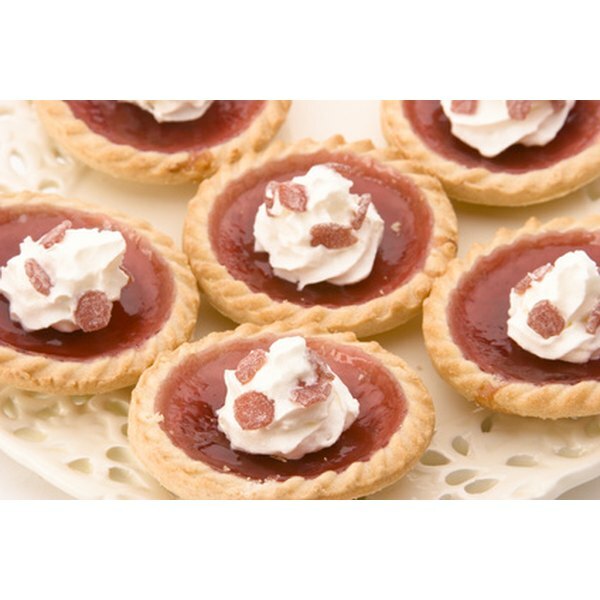 Tarts are baked dishes that consist of a filling poured over a pastry base. The top of the tart is open instead of covered. The pastry tarts are often filled with fruits, custards and creams. 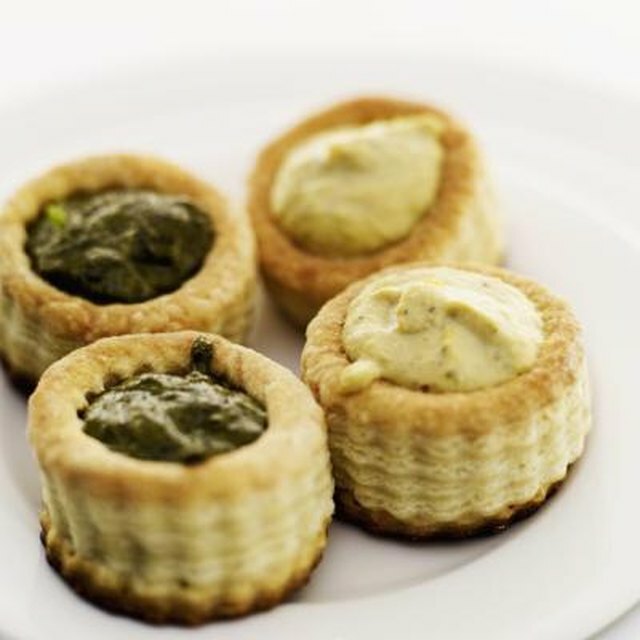 Instead of purchasing tart shells from the store, you can make your own mini tart shells at home. After you bake the tart shells in the oven, you can fill them with your desired filling and serve them as mini desserts or appetizers. Place 1/2 cup of softened butter, 3 ounces of softened cream cheese and 1 cup of all-purpose flour in a mixing bowl. Mix the ingredients with an electric mixer until a dough ball forms. Refrigerate the dough for 15 minutes. Separate the dough mixture into 2-inch-diameter balls. Press the balls into a nongreased mini muffin tin. Press the dough balls down with your fingers to shape them into tart shells. Push the balls down with your thumb to create an indentation. Shape the tart shells with your fingers to press them against the sides of the tin. Heat your oven to 350 degrees Fahrenheit. If you are using a dark muffin tin, heat the oven to 325 degrees Fahrenheit. Bake the unfilled tart shells for 5 to 10 minutes in the oven until they are golden brown. Allow the tart shells to cool and then fill them with your desired filling.